Never Enough Nails: Favorite Hair Product Ever! As you all know by now, I have a deep, undying love of nail polish, make-up, and beauty products in general. You would think that I would be into hair products too and that I would have some vague idea of how to make my hair look nice. Yea, no... I don't do anything to my hair. My hair is straight. Like completely straight, no matter what I do to it. I can use any shampoo or conditioner and it still looks the same. I can use volumizing products and hair spray, and it basically still looks the same. If I use a curling iron/curlers, it looks bouncy and curly for all of 10 minutes. So, basically, I don't bother to do much with my hair because it looks the same no matter what I do. HOWEVER, last year I was a member of Beauty Fix, one of those programs where you pay monthly and they send you a box full of beauty products. Some products were full size and others were large sample size. 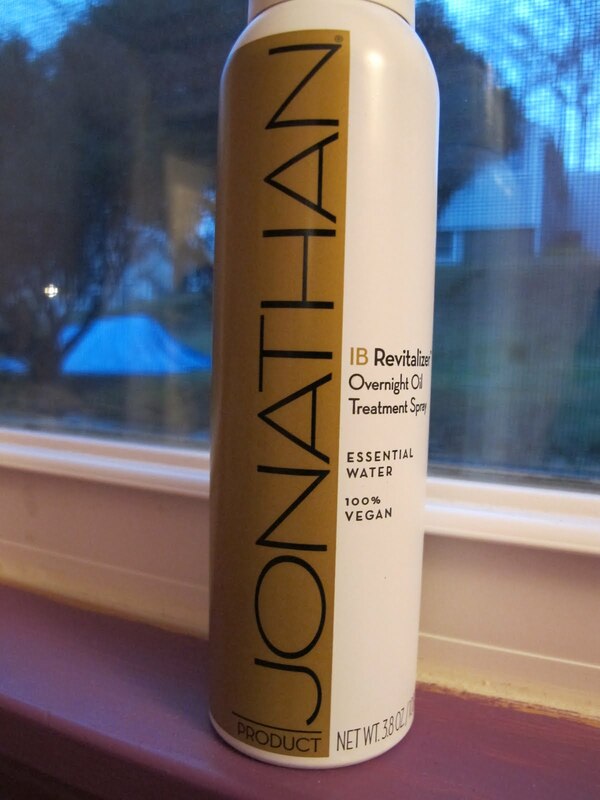 One of the full-size products I received was Jonathan Product IB Revitalizer Overnight Oil Treatment Spray. It took me quite awhile to even get around to trying this product. I thought hair oil was seriously unnecessary. When I finally did get around to trying this, I was SO impressed!!! I couldn't believe how shiny and soft my hair looked after using this. I do not use this oil overnight, for fear of serious breakouts on my face in the morning. 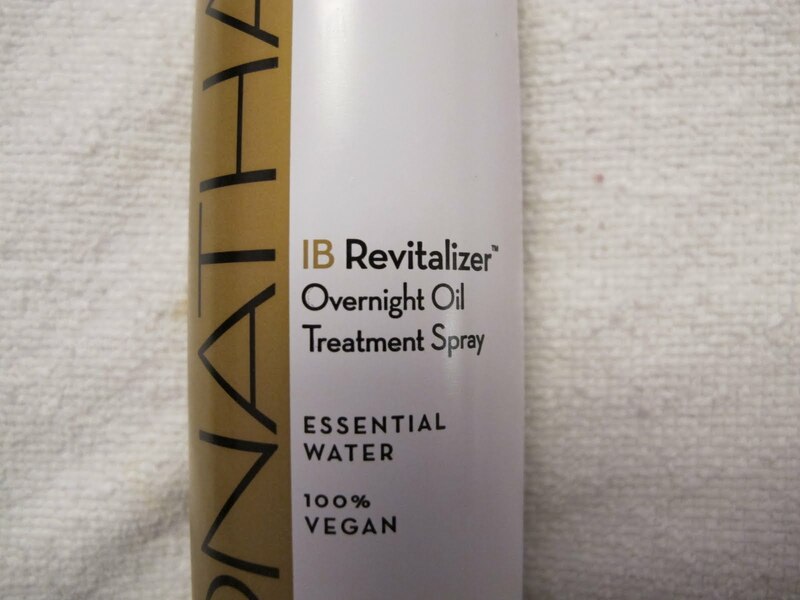 I coat my hair in this oil about an hour or so before I'm going to shower. 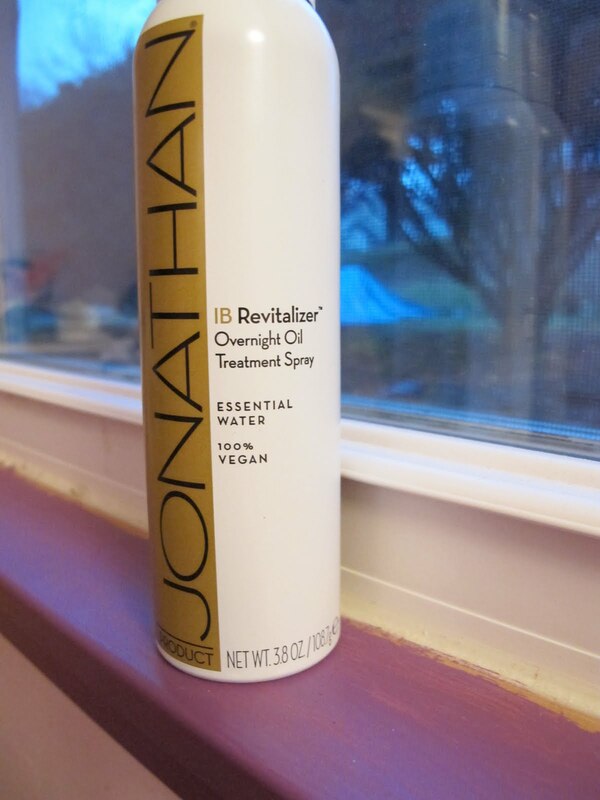 The spray application makes it easy to coat all of your hair pretty quickly. I put my hair up in a bun when it is all coated and wait at least an hour. Then, I shampoo and condition as usual. My hair comes out looking super shiny and my ends look like they've actually had a haircut recently! I am like a hair salon's worst customer, I NEVER get haircuts as often as I should. But this hair oil makes my hair look like I kind of care about my hair. It even makes my hair color look better, but that might be because of the increased shine. Now I know this is a nail blog, but I do like to post other products when I think they are outstanding. This hair oil is outstanding. I will never be without it again. It definitely receives a 10/10! Jonathan Product IB Revitalizer Overnight Oil Treatment Spray is available online at Ulta. Wow! This product looks like an awesome find. I love when I come across something by accident or in a sample and fall in love with it. It is definitely a great find, I love stuff like that too! Surprise favorite products!